Beth El Congregation - PRIME AE Group, Inc.
Beth El Congregation sold their sixty-year-old building on Hawkins Avenue in Akron and relocated to the Shaw Jewish Community Center (JCC). 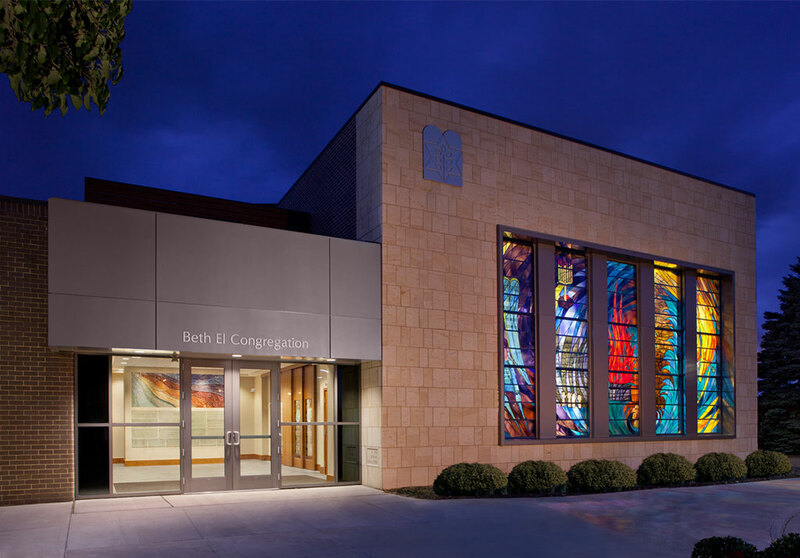 The project included the addition to and renovation of the existing JCC building in order to create a new chapel to be used for Sabbath and weekday services. Renovations were made to the JCC’s auditorium so that it could serve as a sanctuary for High Holy Days and community events. A new entry was constructed to identify the Beth El Chapel. 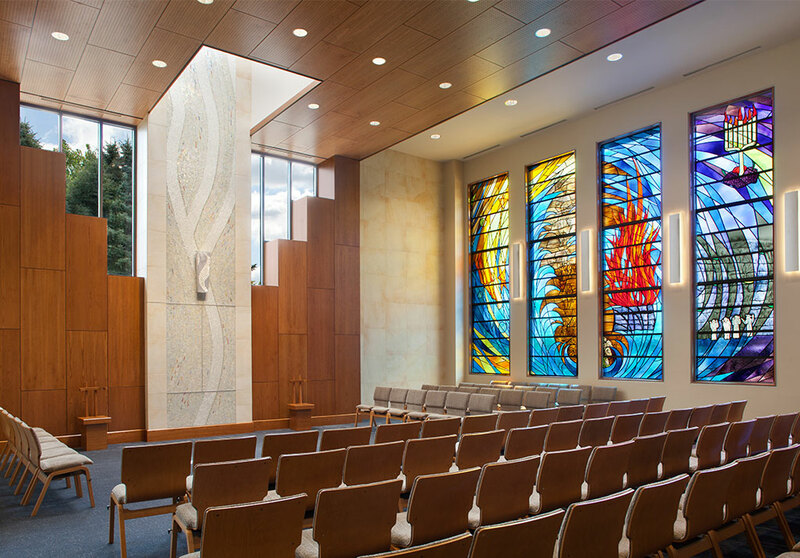 In order to remain connected to the congregational legacy, the existing Judaic artwork including the five-panel stained glass, the Don Drumm sculpture, the ark, and other new art pieces were incorporated into the design of the new facility.